on our trek through the Kali Gandaki gorge we saw so many interesting places that we decided to publish some of them as earth cache. Please feel free to download our gpx track (Garmin notation, ZIP archieve) here. This trek guids you through Mustang and especially Upper Mustang, also known as Lo or "The last forbidden kingdom". It was an independent buddhistic kingdom until the end of the 18th century. As a district of Nepal it was an autonomous teritory and forbidden for any foreign people. The kings own the title "Raja". The last Raja, Jigme Palbar Bista, lives now in Lo Mantang. With the end of the Nepal monarchy in late 2008 also Jigme Palbar Bista lost all his titles. Mustang was opened for foreigners in 1992. To read more about Mustang please see here. The Kali Gandaki River (also Narayani, Gandak) is one of the major rivers of Nepal. It is known as the river with the deepest gorge in the world. The river flows between the mountains Dhaulagiri (8167 m) to the west and Annapurna (8091 m) to the east. The gorge begins at Kagbeni. The river flows southwards to Jomsom, Marpha and Tukuche. The deepest part of the gorge is in the area of Lete (see Kali Gandaki #3). The gorge then broadens past Dana and Tatopani towards Beni. The Kali Gandaki gorge has been used as a trade route for centuries. Today, it is part of a trekking route from Pokhara to Muktinat and belongs to the 'Annapurna Circuit'. 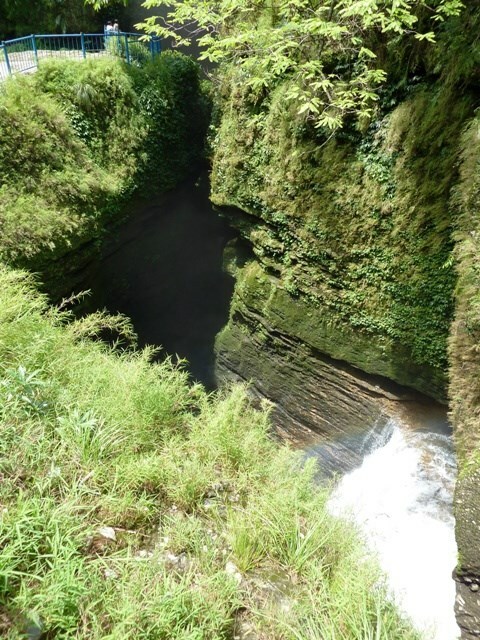 The gorge is within the Annapurna Conservation Area (trekking permit!). The Kali Gandaki rises in the Tibetan plateau north of the Himalayas in the Mustang District of Nepal, close to the tibetian border. The two headwaters of river, Nup Chhu and Shar Chhu ("West River" and "East River") meet near the town of Lo Manthang in upper Mustang. The river then flows southwest with the name of Mustang Khola. In Kagbeni Kak Khola, coming from Muktinath, meets Mustang Khola; from there, the river is called the Kali Gandaki. To learn more about the Kali Gandaki please read here. The Himalayas belong to the youngest mountains on the planet. They consist mostly of uplifted sedimentary and metamorphic rock. According to the modern theory of plate tectonics, their formation is a result of a continental collision between the Indo-Australian Plate and the Eurasian Plate. This is referred to as a fold mountain. The collision began in the Upper Cretaceous period about 70 million years ago. At this time the Indo-Australian Plate was moving at speed of about 150 mm per year (today ~67 mm ). This leads to the Himalayas rising by about 5 mm per year, making them geologically active. About 50 million years ago, this fast moving Indo-Australian plate had closed the Tethys Ocean and the growing mountains lift up its marine sediments. To learn more about the Himalayas please read here. All mountain trekking in this area starts in Pokhara, so we do here. At the coords you will find a small river, that falls over several meters into a big whole in the limestone ground and disappears for many meters. Here you are in a kind of karst area. The ground consits of lime stone and over a long time water dissolves the carbonate rock and forms caves and tunnels. One tunnel is now used by the Phewa river. About pictures of you at the location we would be very happy. a) Which distance (in m) takes the river through the underground? b) Why is the name of the fall "Devi Falls"? c) In which depth flows the river (in m)? d) At the left side where it disappears is a little hinduistic sanctuary. What can you see there?